Owning a sports car enables you to make a statement anytime you pull up at a high-profile event or even just picking up your children from school. Plus, the adrenaline that comes with high-speed racing is good for your body because it eliminates stress. Are you planning to upgrade in 2019? Let’s look at the best sports cars under 50k. 1. What is the best sports car for the money? Here’s a sleek coupe that’s compact and goes from 0-60MPH in just 5.8 seconds. On a sunny day, you can ride slow with the soft top tucked inside the trunk. You can get it in three versions depending on your lifestyle. The Grand Touring is the most popular because the front somehow resembles a BMW Z3. The interior features a couple of exquisite leather seats that are both water and stain proof. You can choose between jet black or classic tan seats. It comes with a pre-installed 8-inch touch screen used for entertainment and navigation functions. Behind each seat is a bass speaker and the stereo has a built-in subwoofer. If you enjoy high-speed driving during your free time, here’s a car that’s worth your attention. Why? Because it goes from 0-60MPH in just 4.3 seconds! 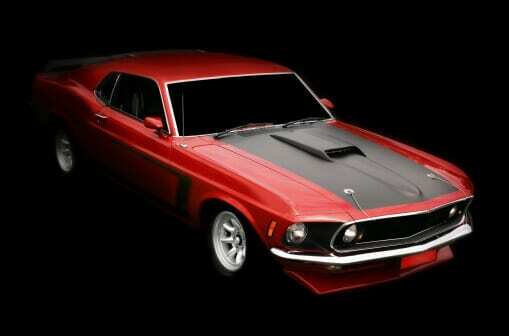 Its engine has a capacity of 526 horsepower and consists of V8 cylinders. Plus, you’ll find a six-speed manual transmission for enhanced speed control. You can use this car as a family sedan since it has a capacity of five adult passengers. The spacious trunk makes the Ford Mustang Shelby GT350 ideal for long-distance road trips because it allows you to store more items. The Chevrolet Camaro will make heads turn wherever you go. One of the reasons why it’s so catchy is the long hood front design that’s similar to Mercedes S class series. The narrow cat-like shaped headlights enhance a menacing appeal found in the 80’s muscle cars. One advantage is that you won’t need to do any aesthetic improvements. You’ll get 17-inch chrome wheels that are usually carbon black in order to contrast the bright color of the car. Perhaps the only modification you might consider is putting racing stripes on your hood all the way to the spoiler. When you look at this car, you’ll notice that the design looks somewhat executive. You can picture a CEO driving to work in this sports car without looking out of place. Especially, when you get it in color white. Under the hood is a powerful V6 engine that’s computerized for maximum efficiency. The rear bumper has a set of sensors to help you park in crowded spots or next to walls. It also has front sensors to warn the driver when the distance between them and the next car is too small. Suggested read: Are you planning to buy a sports car privately? Do you like subcompact sports cars? The Volkswagen Golf R comes with five doors and has a 2.0-liter turbocharged engine. It’s an all-wheel-drive making it relevant for a little off-road driving. This feature makes your car safe when driving on wet roads by enhancing your tires’ traction. The back seat can accommodate two adults or three children. Perhaps the major limitation is that tall people might find the legroom quite uncomfortable. You can use the touchscreen on the dashboard to sync your phone or tablet and enjoy your playlists while on the way to work or a weekend night out. If you love Batman, then you’ll feel really drawn to the 2016 Audi TT. The 220 horsepower turbo-supercharged engine enables you to move from 0-60MPH in just 5.2 seconds. If you’re driving around the city, you’ll cover approximately 20 miles per gallon of gas. In order to enhance your safety while cruising at high speeds, you’ll notice the high tension in the safety belts. The grips on the steering wheel have a sporty feel to enhance your driving experience when negotiating sharp corners and while drifting. Plus, it comes with an all-wheel-drive feature. You can drive the Cadillac ATS Coupe to a high-profile business meeting and still go out drifting on the weekend without looking odd in the company of other sports car drivers. The wide slanting hood gives it the corporate look while the headlights stimulate your adrenaline. If you owned a Cadillac CTS, you won’t struggle to transition to this coupe. It has a 4G-enabled entertainment system that enables you to stream audio and video without buffering. This feature enhances your entertainment during road trips because you can stream live sports or listen to your favorite podcasts. The dashboard screen pops open and inside you’ll find a wireless charging port for your phone. Subaru has proved itself over decades in its consistency in producing high-quality sports vehicles. The 2018 Subaru WRX STI will make you itch for the next road trip. What makes it so powerful? It has a 2.0 liter 268 horsepower supercharged engine accompanied by a 6-speed manual transmission gear. You can activate it using a key or push-to-start button. Inside, you’ll find a 7-inch screen on top of the dashboard used for controlling keyless features. Outside, the trunk space appears is well-padded to prevent you from damaging your luggage while traveling. This model contains a 205 horsepower engine that enables you to cover 29-32 miles per gallon of gas. You can use it as a family car because it easily accommodates four passengers and has front and rear-end sensors to prevent collisions. Can you take it for a weekend of off-road driving? Perhaps on moderately rough surfaces because the Subaru BRZ features a Rear Wheel Drive system. If you previously owned a Mazda Mx-5 Miata, you’ll transition into the Subaru brand with ease. Just like most recent models, the Subaru BRZ has chrome pedals to give that sporty aura. Did you know that the BMW M235i can go from 0-60 MPH in just 4.8 seconds? It comes with an eight-speed manual transmission system and enables you to cover at least 30 miles per gallon of gas while cruising on the highway. The main reason why stunt drivers love drifting in this model is thanks to its impressive wheel stability at high speeds. The bucket-design front leather seats are specially designed to cushion your neck, spine, and pelvis for long-distance high-speed driving. You can charge more than one phone at a time using the dashboard ports next to the infotainment screen. Just like the BMW325i, the 2016 Dodge Charger R/T features an eight-speed manual transmission system. You can get in two versions, which are the SE and SXT models. The engine has an impressive output of 292 horsepower and features an all-wheel-drive system. During cold weather, you can fight off cold temperatures thanks to the front heating seats. The front seats also have a lumbar adjustment feature to enhance your comfort in various situations. For instance, you’ll need a different setting following a heavy gym workout session on your back. This sports car runs on a 348 horsepower 3.6-liter engine. However, compared to other cars in this list, you’ll notice that it has a higher fuel consumption rate. A gallon of gas in this tank allows you to cover 19 miles in the city and 24 cruising on highways. It features an eight-speed manual transmission that enables it to accelerate from 0-60 in just 5.3 seconds. At the front, you’ll notice a pair of fog lights located under the headlights. Each side mirror has LED lights to enhance your visibility while driving at night. This coupe has a twin exhaust system and you can enhance its aesthetics by getting a spoiler. If you targeted to own a Ford Mustang or a Hyundai Genesis Coupe by the end of 2018 but didn’t have enough cash, this model will give you a better value for money, at a better price. When you look at it from a distance, it kind of resembles a Porsche 911. The interior stands out thanks to the beautiful bucket seats made from leather and suede. The cockpit has a simplistic design that isn’t overloaded with knobs and buttons. Which is why it’s highly recommended for a first-time sports car owner. The 2016 Volvo S60 might make you have second thoughts about purchasing a BMW 5-series. It’s almost the same size, however, more pocket-friendly. This family-size sports car has an extended wheelbase for extra support as well as passenger safety. While it’s long elegant design makes you want to pictures with it all day, you’ll realize how challenging it is to park it in certain situations. Fortunately, this model has a rear camera and sensors to help you avoid scratching your precious car. It has 19-inch alloy wheels fitted inside Pirelli P7 tires designed for summer and rainy weather. The 2016 BMW 340i is one of the first units from BMW to have a twin-powered turbo engine. It’s amazing how you can get a brand new BMW with an output of 320 horsepower for less than 50k. When you compare it with the 2016 Hyundai Coupe, you’ll be shocked to realize that the latter actually consumes more gas per mile. This BMW actually covers 33 miles per gallon on the freeway. If you’re 6ft tall or more, you might find the back cramped. The back has enough legroom but tall people might find it really uncomfortable bumping their heads against the ceiling frequently. Do you like BMWs that have a push-to-start button? Here’s a model that you might want to shortlist for a test drive soon. You can choose between an all-wheel-drive (AWD) or rear wheel system depending on the car dealerships near you. The AWD version is more popular because it gives you more control over various road conditions. BMW really knows how to treat its customers when it comes to lavish interiors. This sports car features oyster white leather seats that have armrests. The controls are user-friendly to first-time BMW owners. The Honda Civic Si (Sports Injected) has a 1.5-liter turbo engine and generates 205 horsepower. This is actually highly recommended for first-time sports car owners thanks to its economical fuel consumption rate. A gallon of gas will help you cover 28 miles in the city and an impressive 38 miles on the freeway. One of the reasons you’ll get value for money purchasing this sports car is that it contains a 6-speed manual transmission. This system gives you more control while speeding compared to automatic gear transmission. It also has a set of powerful fog lights to help you navigate in poor visibility. The Ford Focus RS runs on a 2.3 liter Ecoboost and has an all-wheel-drive system. How long does it take for it to accelerate from 0-60MPH? Just 4.3 seconds! The large front grill radiates a macho appeal that makes it so eye-catching. As far as aerodynamics are concerned, this Ford model scores highly thanks to its long slanting hood and spoiler mounted above the trunk. The good news is that you don’t need prior experience with other Ford models to enjoy driving your Focus RS. Despite looking like a subcompact vehicle, it actually has plenty of space vertically and legroom for all passengers. Are you planning to do a trade-in or apply for an auto loan? Shop around for the best car prices near you and take your time to ask questions on loan payment. Also, compare the monthly and annual expenses such as gas consumption, engine parts, just to mention a few. Do you need quick financing on any of the vehicles mentioned in this post? Feel free to contact us by making a phone call or sending a brief email.